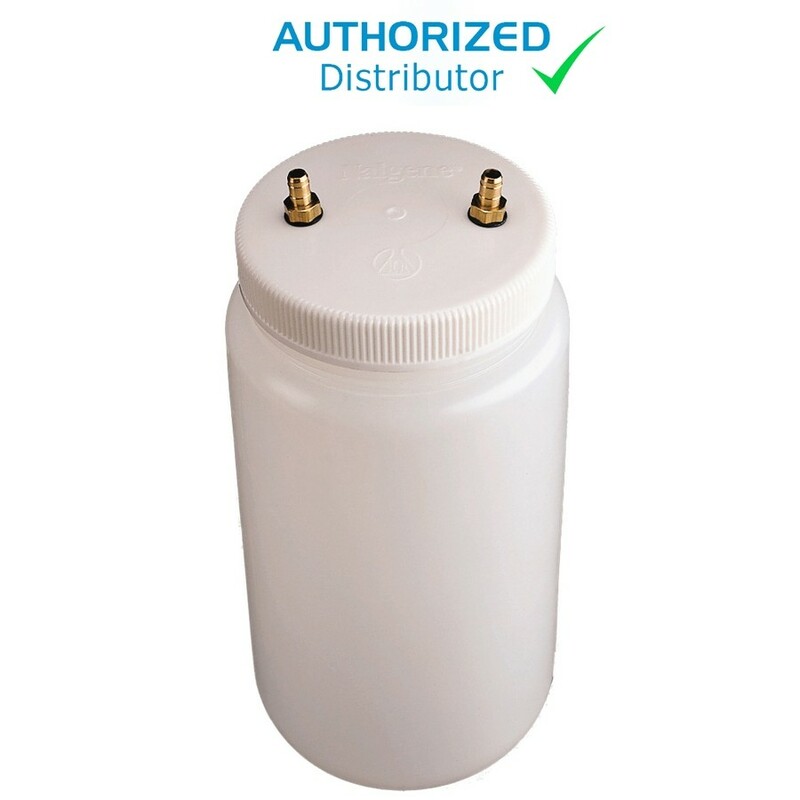 When ordering a cyclone sampler, be sure to also order a Cyclone Calibration Jar. 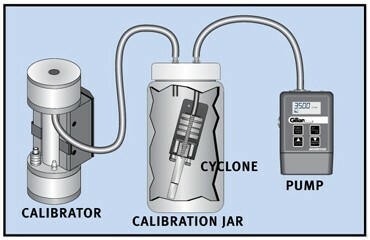 Since a cyclone has only a single hose connection, this jar allows proper placement of the cyclone filter between the sampling pump and the calibrator device, as shown. The Sensidyne Dorr-Oliver Cyclone Kit meets NIOSH sampling requirements for 10mm nylon cyclones, as specified for nuisance dust (#0600) and silica dust (#7500, 7501, 7601 and 7602). It is designed to separate the respirable fraction of airborne dust from the nonrespirable fraction; i.e. airborne particles with aerodynamic diameters between 0.2 and 10 microns, capable of producing pneumonconiosus lung disease with long-term ­exposure. Designed for pneumonconiosus-producing dusts, it can also be effectively used to monitor the respirable fraction of all types of dusts, from high toxic to nuisance particulate. The unit consists of a two-stage cyclone and a lightweight aluminum frame, which mounts a standard 3-part 37mm filter cassette, with membrane filter. 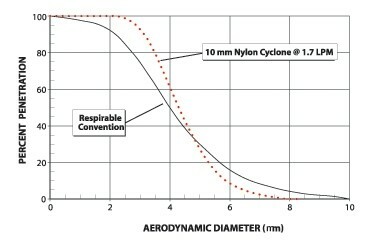 When air enters the cyclone stage at 1.7 LPM (as recommended by NIOSH), the larger nonrespirable particles are centrifugally separated out and drop into a removable lower grit pot. The smaller, respirable particles pass on to the cassette, where they are captured by the filter membrane.